How will technology change customer service? 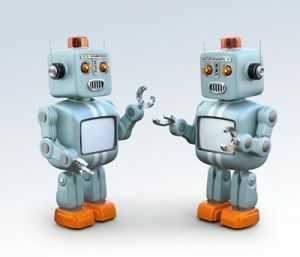 A common answer to this question is, “Improvements in automation and self-service will erode the importance for call centers and the human agents in them.” That answer gets reinforced every time you read an announcement from a company touting success of a new automation project. It also gets strengthened by the marketing efforts of all the vendors selling self-serve technology. However, if we adjust for recency bias and profit motive, can we still be sure this trend is real? It’s a question too important for casual conclusions. “A Million People are Using Bank of America’s Chatbot” says the headline in American Banker. Impressive. But, the question to ask when you see a headline like this is, “Are these transactions that otherwise would have been done by phone calls? Or would they have been via, say, a web interface?” In other words, does this new channel replace what would have been a human interaction, or offer a different form of self-service? That answer matters because if new forms of self-serve are primarily cannibalizing older forms of self-serve, than we can expect call volumes (and agent headcount) to stay the same. That doesn’t devalue this particular deployment — it may be providing an improved experience for the bank’s customers — or any deployment in general. But it does set a ceiling on the impact. Are we swapping out one kind of self-serve with another, or are we expanding the coverage of self-serve? Is it possible that we are at or near a kind of saturation, where everything that can be “self-serv-ized” already has been? What then? We covered this topic, from a slightly different angle, here: What’s the Ceiling on Self-Service? Consider the universe of all self-service technology. 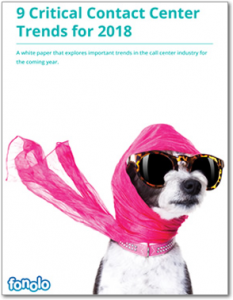 From mail-order catalogs to touch-tone IVR to chatbots. They are all answers to the question, “How do we let the customer do more, so that employees do less?” At the end of the day, that’s what “self-service” means, right? The universe evolves: Mail-order catalogs are long gone. Faxing is on its way out. 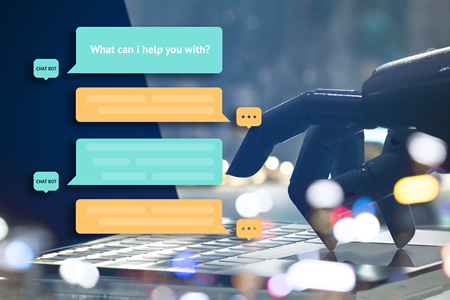 Chatbots are the new star on the horizon. Faxing an order was replaced by punching it in to an IVR, then replaced by a form on a website, and maybe now being replaced with a mobile app. But the task, i.e. “submit an order” has been in the self-serve universe this whole time. This is growth-by-substitution; a zero-sum game. The universe expands: As the tools get better, the boundary between what can be self-served keeps getting pushed back. Agents handle a narrower scope of transactions, skewed to the difficult edge cases. Growth-by-substitution is easier to measure. (Headlines like the one about Bank of America are easy to find.) Growth-by-expansion is harder. 2. provide a better experience than the alternatives, which are probably your website or IVR system. The bar to actually replace agent-powered conversations is much higher. A lot of people read headlines and think this second, higher bar has been cleared, when it’s really the first one. The real question is can chatbots actually grow the self-serve universe? Can they take a larger share of tickets away from agents? That question still seems unanswered.